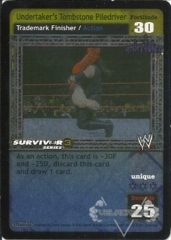 If you are looking for WWE RAW Deal cards (Comic Images) or the exciting Supershow dice/card game (SRG Universe), then you've come to the right place. 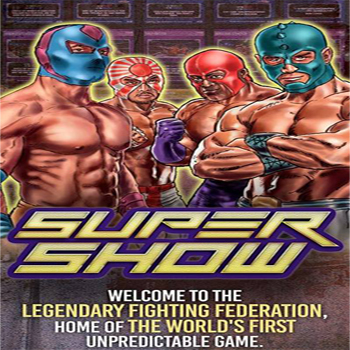 For over 15 years and with one of the largest inventories of WWE RAW Deal on the planet, and one of the largest selections of Supershow, we offer great cards, great prices and great service! We carry thousands of singles. Everything from COMMON (C) and UNCOMMON (UC) cards, to RARE (R), ULTRA RARE (UR) and Promo and Tournament Kit (TK) cards for both games, can be found right here at VelaCards. 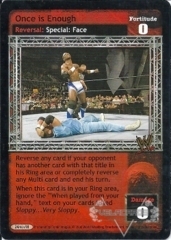 Unlike other CCG/TCG sites you may have come across, we don't carry a bunch of other card games and just have these little wrestling games mixed in there somewhere on the side. 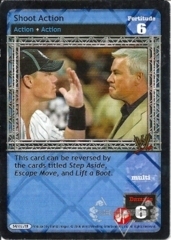 No, we specializing in the RAW Deal Collectible Card Game and the Supershow dice/card game. 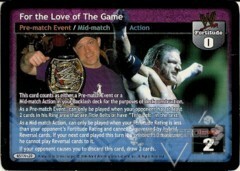 As avid players ourselves, we know more about the game than our competitors do, so we know the market better, the card text better and what the good stuff is that helps you build a competitive deck. Now, with the continuation of RAW Deal in the way of virtual cards, we offer an amazing professional printing service of those great images so you can add them to your collection. Of course, you can download and print them all on your own, but if you want them done to look and feel just like the real thing, we can do that for you, too! Get started today by checking out all the cards we carry. If you need help, let us know.